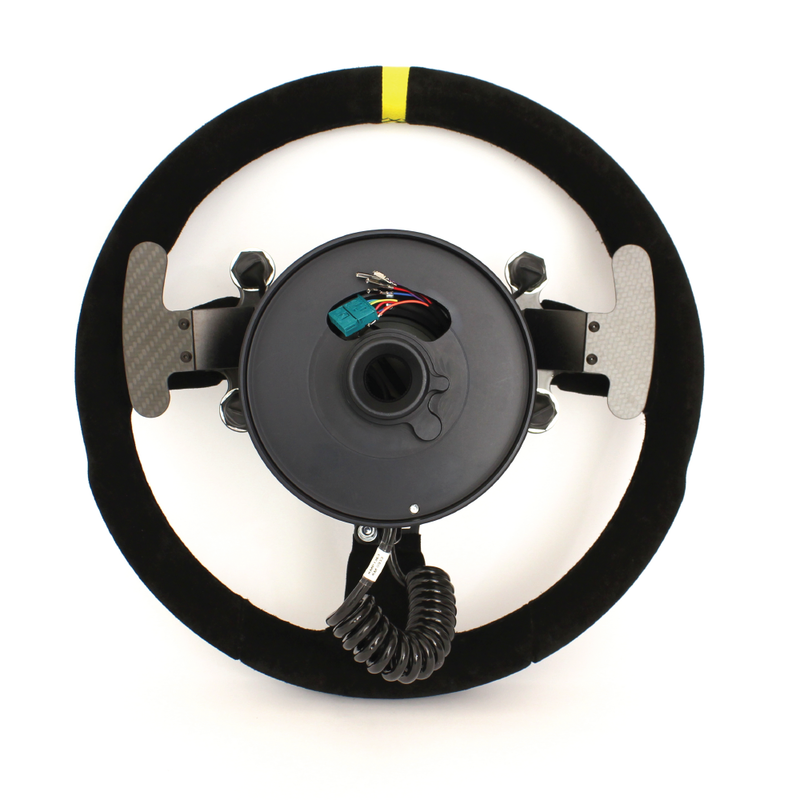 The plug and play BMW M3-M4 Trackday wheel has a Horn, DTC, M1 and M2 function. 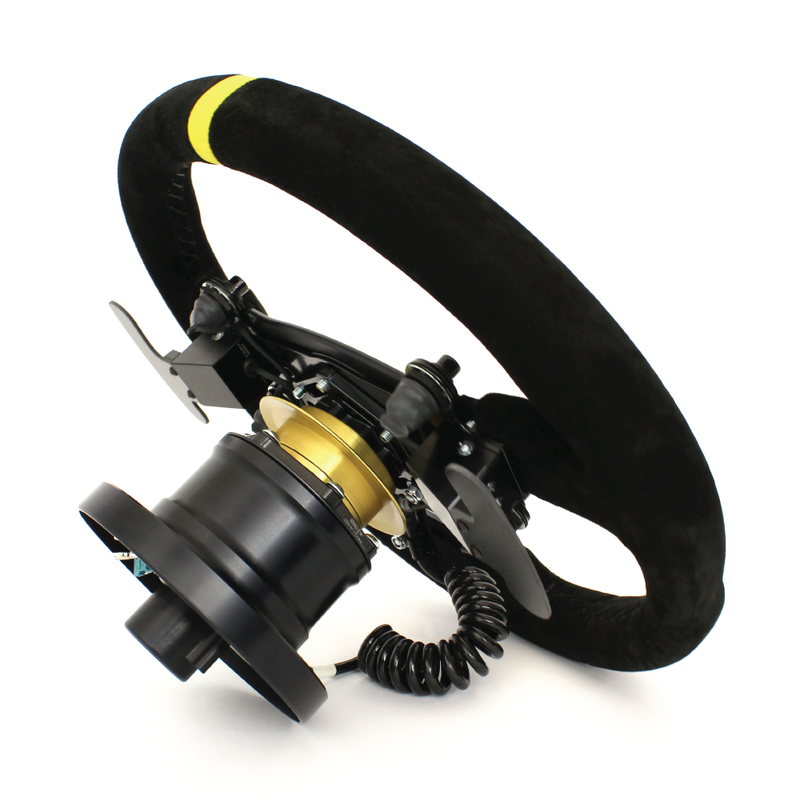 The complete assembly comes with a BMW M3-M4 hub, 70mm Spacer, Alcantara racing wheel and all necessary electronics. If an OEM steering wheel is removed, there will be several errors active. 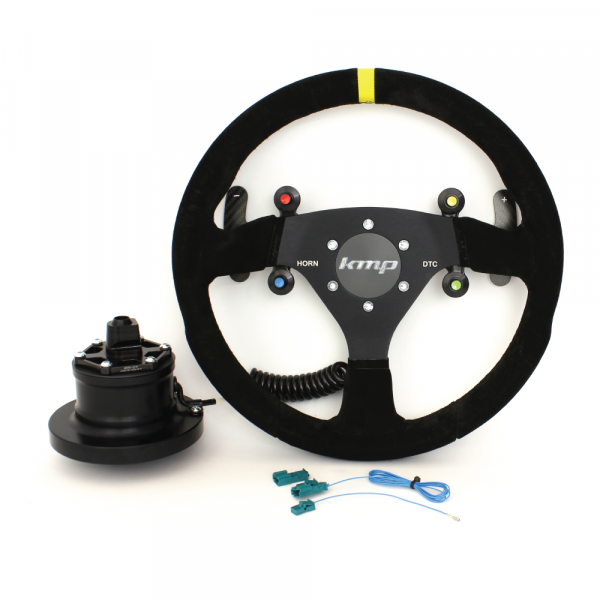 The racing wheel has special developed electronics inside which simulates the OEM wheel with the possibility to take over some original functions such as M1 and M2. Another benefit is the possibility to control the DTC (dynamic traction control) directly from the wheel, instead of the mid-console. The BMW F-Series racing wheel comes standard with a 70mm spacer. 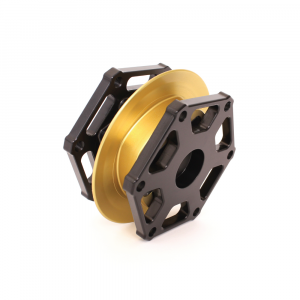 It is possible to replace the spacer with a quick release adapter at order for additional costs (+€170). 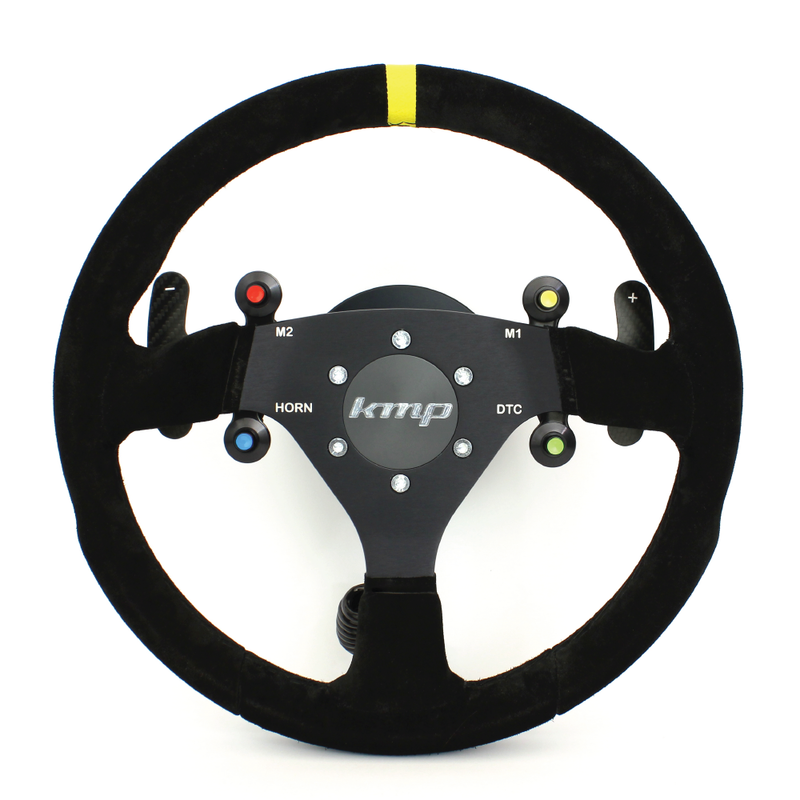 The function names will be laser engraved in the steering wheel. If the functions on the ‘Free to use’ switches are already known, please add this note to the order. If the function names are not supplied at order, there will not by any engraving at these switches. It is possible to laser engrave the wheel any time later at KMP (€45 per wheel). 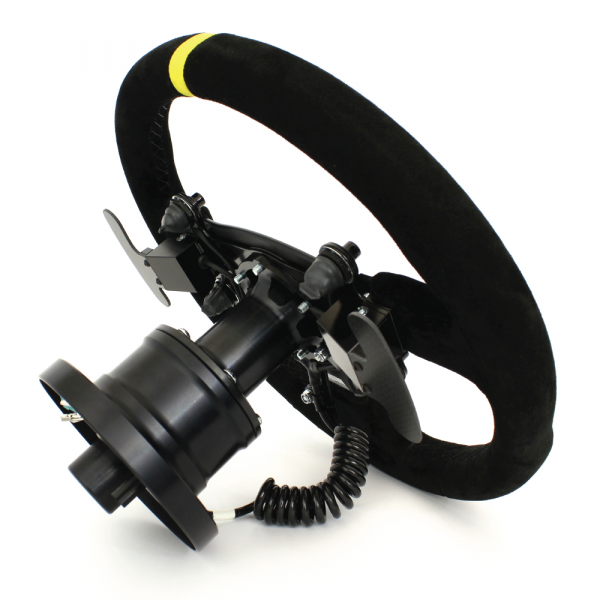 The free to use switch signals are accessible on the back of the steering wheel column. All wires are switching to ground and can be used for any function wanted. Custom made layouts are possible on request as well. If an Awron display is used, it will be a custom made layout at well. 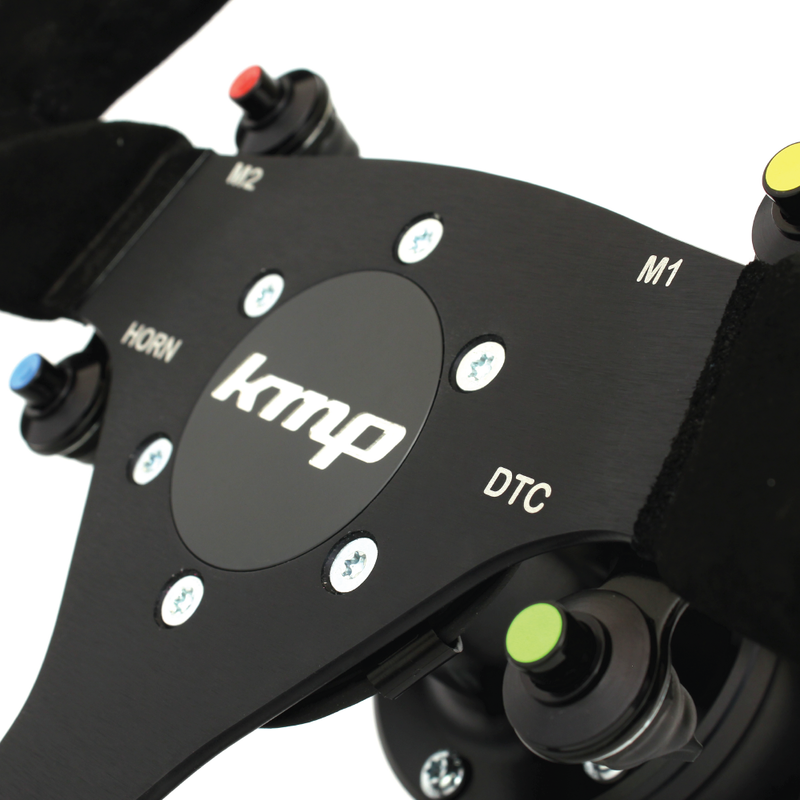 Please contact KMP if you would like to discuss all possible solutions. F80 M3, F82 M4, F83 M4, F10, F06, F12, F13, F85 and F86.